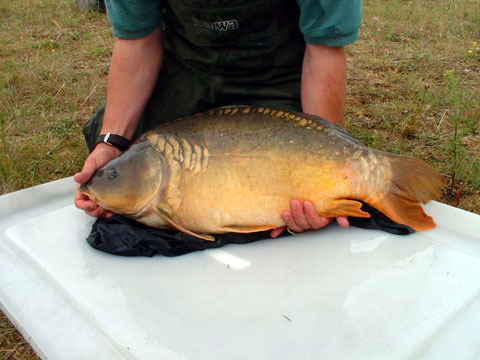 In Mid July Carp were netted from Summerleys nature reserve and stocked into the New Pit and Big Pit. The plan was to remove as many double figure and 20lb carp as possible to stock into the Big Pit. 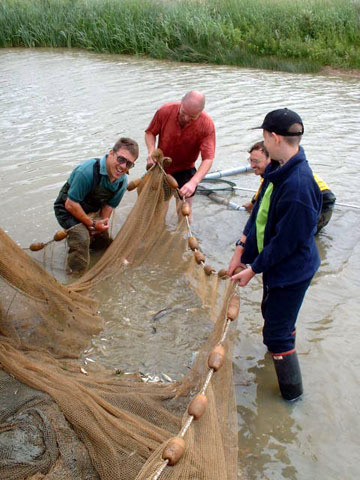 6 members of Bainton Fisheries offered their time and put a huge effort into pulling 50 metre Seine nets across the bird reserve pit. A big thanks to the Environment Agency for lending Bainton the equipment and supervising the netting. 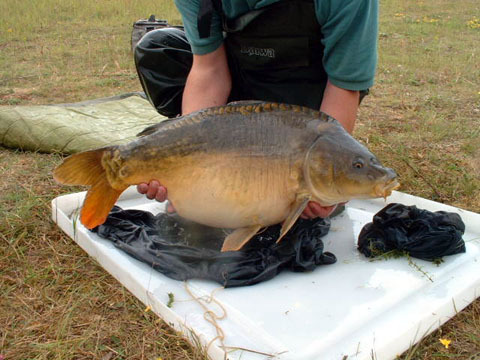 Proceeds from the sale of the carp will go towards the local wildlife trust. All double figure fish were stocked into the Big Pit and two very nice 8lb fish were also put in, a leather and a beautiful mirror. The remaining 28 fish were all stocked into the new pit. The idea that they will grow on and when they get to mid doubles will be moved into the Big Pit. A few sample fish can be seen below. We hope to return next year for another cropping of carp. All in all and hard days work but very satisfying nevertheless.